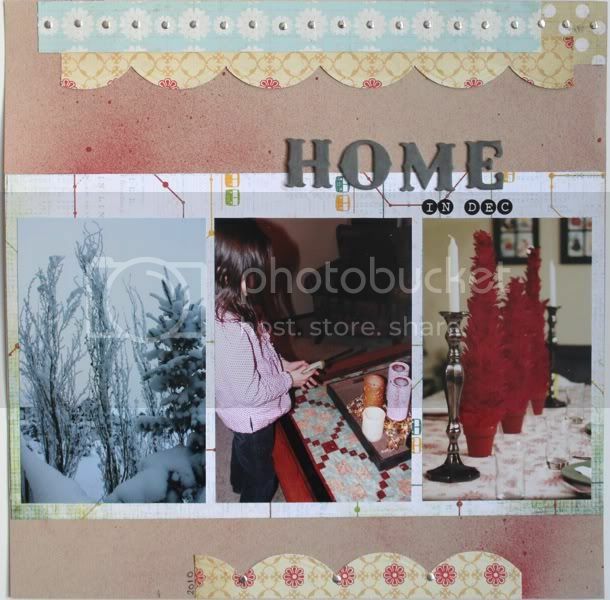 The sketch made this layout come together super quick once I finally figured out what photos to use. I wanted to add few more details but I've run out of time. I'm happy with the final result. I used patterned papers from Basic Grey, Cosmo Cricket and Lily Bee. The bling are iRock glam rocks and alphas are My Mind's Eye and Glitz. Below is the link to the sketch itself.